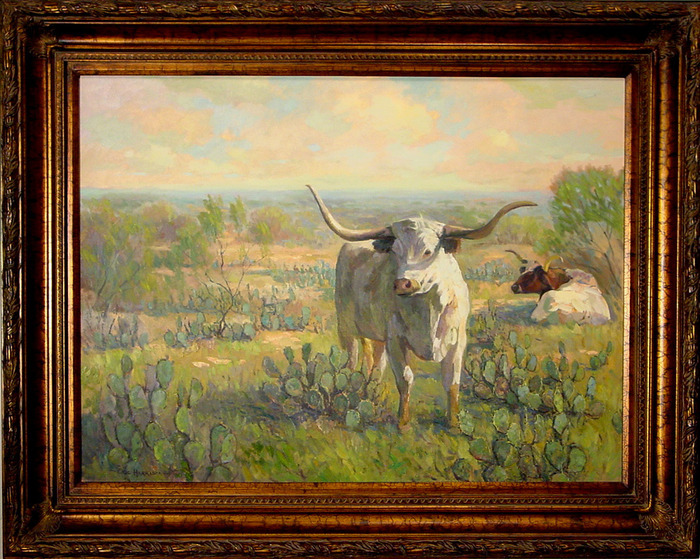 Eric Harrison "Kendall County Ranch"
This painting hung in the United State Embassy in Lome, Togo, Africa for four years. 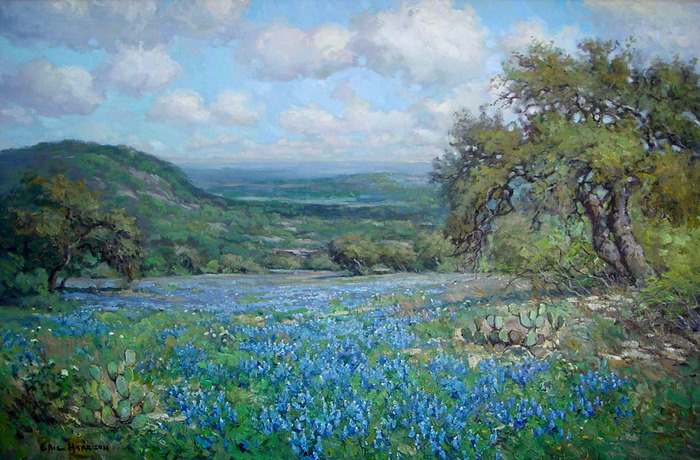 The ambassador David R. Gilmour is a graduate of the University of Texas . He and his wife requested this loan of this painting to remind them of Texas. It is pictured in the Art in Embassies catalog for Lome. Congratulations to Eric Harrison. 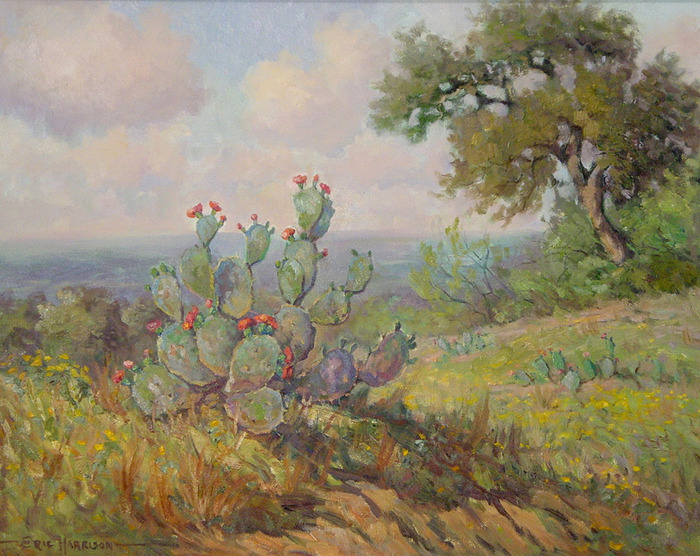 Eric is one of the finest living Texas artists. 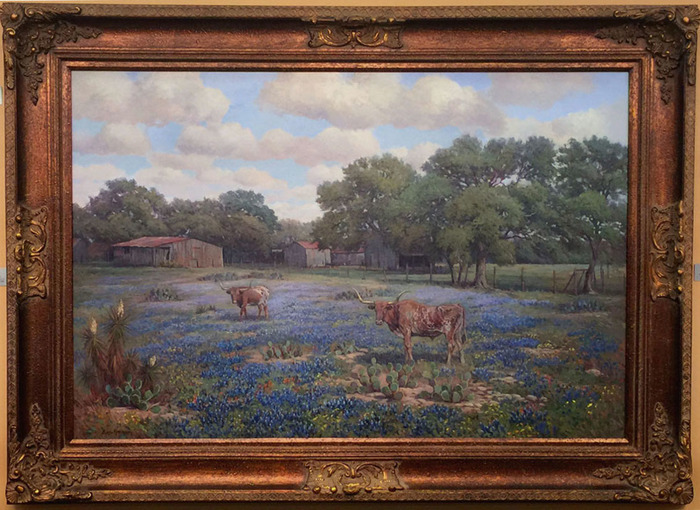 He is a real "Texas Treasure"
We typically have many great Eric Harrison paintings available in the gallery. Come by and take a look. The buyer of this painting will receive the original matt placard that hung with the painting in Lome as well as the catalog picturing it. If you know any Ambassadors please send them our way!